Two French Army Aérospatiale SA 341 Gazelle light helicopters has collided mid-air and crashed over Southern France. The helicopters crashed into a woody area near Carcès lake during a routine training flight. All the five French military personnel on board had died in the crash. The two helicopters belonged to the nearby Ealat military flight training school, where French, German and Spanish helicopter pilots are trained. 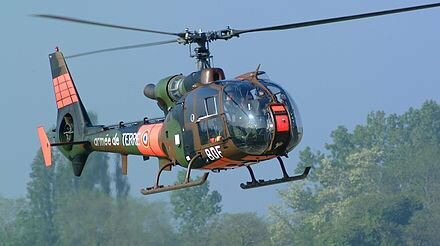 The Gazelle is a French five-seat helicopter, commonly used for light transport, scouting and light attack duties. Introduced to service in 1973, Gazelle is currently flown by French Army, British Army, Egyptian Air Force and Lebanese Air Force. It is powered by a single Turbomeca Astazou turbine engine and was the first helicopter to feature a fenestron tail instead of a conventional tail rotor.